Valentine's Day is only one week away and I have been getting ready as I am sure all of the couples in SL are. 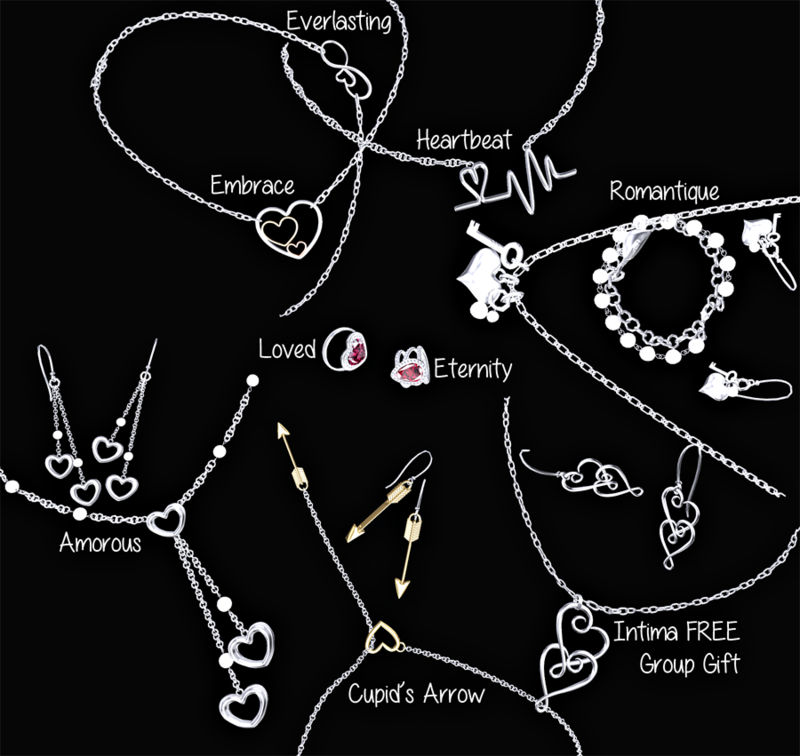 If you are looking for a gift for your special girl, you need to look at Cae's Valentine collection. Cae has a bunch of special Valentine releases at the main store as well as a beautiful assortment of jewelry around the grid at various events. If you are going to ask your girl to marry you, Cae has an assortment of engagement/ wedding rings as well and they all have texture jewel change via HUD which makes them very versatile. Gifting Cae Items is easy. Everything can be gifted through the vendor as a direct delivery or boxed delivery. You can also send gifts through Marketplace and it is up to date with all items, excluding those that are currently exclusive to an event. If you can't decide because they are all so pretty, you can always get your girl a Cae gift card for Valentine's Day. She will love that too! As I said I am getting ready for my big Valentine date. I am planning on going to a Valentine Ball next weekend and I think I finally picked out my dress. This dress is from Junbug and it has a beautiful long bow in the back too.